Aren't these just the cutest way to say "I love You" on Valentine's Day? They are so easy for children of all ages to make, and just require a little patience with waiting for the paint to dry. 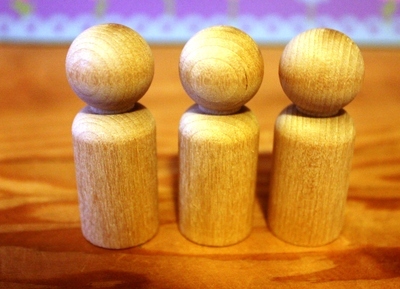 We made very simple peg dollies, however you could make them more elaborate with red wings or a cheeky pointy hat perhaps. 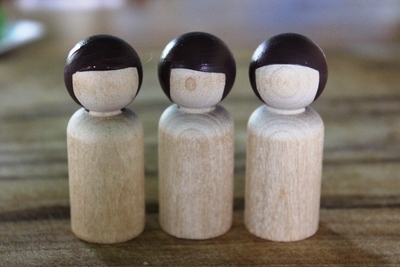 Take one wooden peg dolly and carefully paint the hair any design/color you like. We used a basic square face for simplicity, but you could make it quite unique or maybe even glue some colored wool on for hair? Allow the hair to dry, then paint the body. 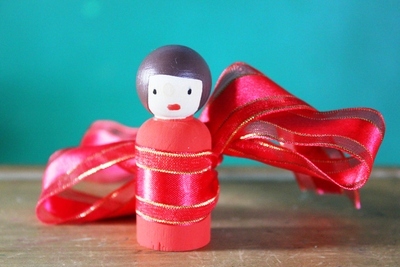 This peg dolly is especially for Valentine's Day, so she will be obviously red. Allow the body to dry before painting on her eyes and a mouth. If painting eyes sounds a little tricky, you could also try using a marking pen or even a biro pen. 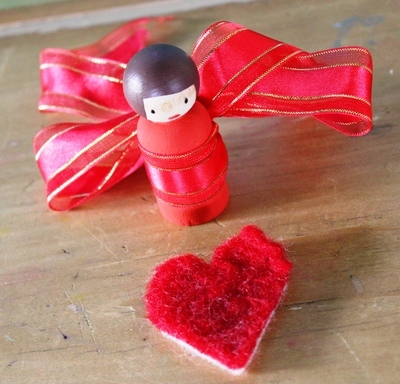 Tie a bright red ribbon around your peg dolly's waist with a generous bow and add a heart if you wish. 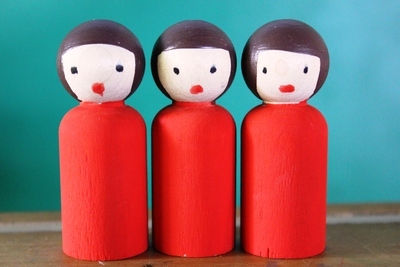 Offer your little peg dolly to someone you love on Valentine's Day - Mum, Dad or even Grandma?